This design process allows us to design propellers optimum for certain use cases. The RK 6032TCS is designed for the multirotor racer as well as the Freestyle pilot. This use needs a fast propeller with control throughout the throttle range. 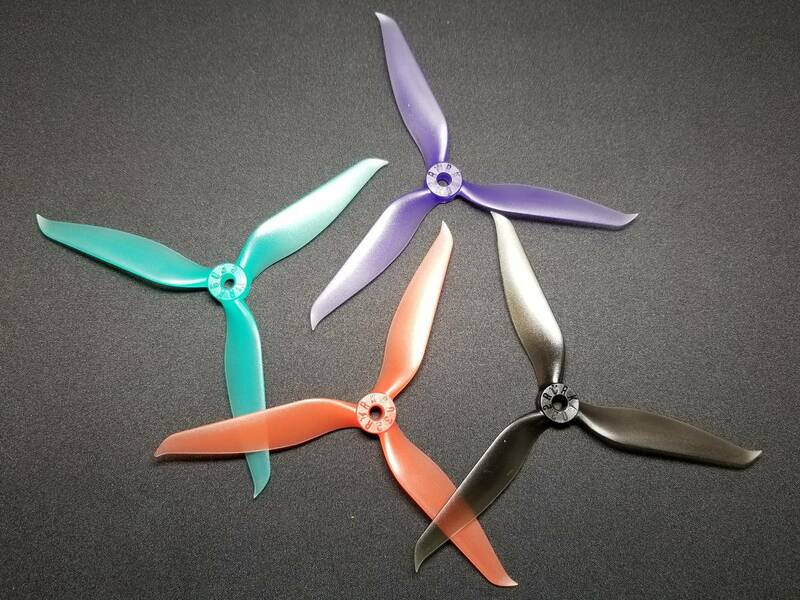 A Racer and Freestyle propeller also needs to be extremely durable and not break when hitting other racers in the air or gates to stay in the air longer. The new Props in this industry is RaceKraft. These props were among the most popular during the 2016 Drone Nationals held at Governor's Island in New York City and most of 2016. RaceKraft Props are made to perform and withstand today's rigorous FPV races. Combined with extensive color combinations, and durable plastic, these are one of the best props for racing. Make sure you finish the race and look good while doing so!Each order has four propellers and contains two regular (6032TCS) and reverse (6032TCS). 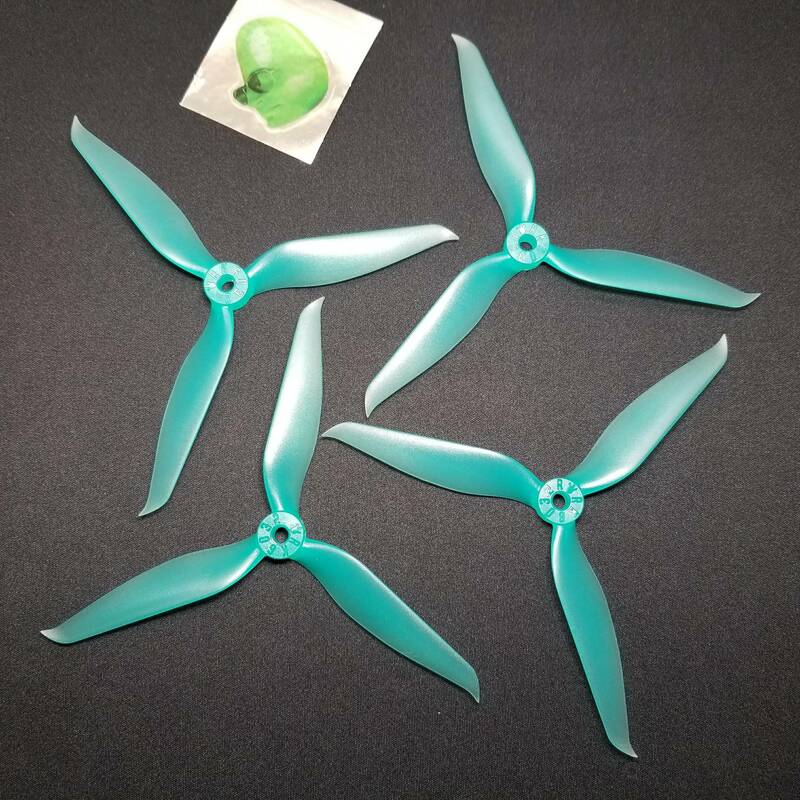 Give this 5051 tri prop a try, We are positive you will not be disappointed! The industry's first truly optimized prop. Designed from the ground up for an exceptional FPV racing and freestyle experience, RaceKraft has brought us the 6032TCS tri blade prop 2 CCW and 2 CW propellers. A tri-blade in form, the 6032TCS prop was designed using blackbox data and feedback from some of the world's best pilots over the course of 2016. This prop is the result of hundreds of flight hours of testing and science. As a result, the prop is exceptionally smooth, efficient, and powerful - from props on an airplanes ,Those props were the result of many hours in testing. And the result, A high pitch close to the propeller base, with the pitch lessening towards the tip. Since the interior of the propeller moves slower than the exterior of the prop, a higher pitch is needed to create a smooth and consistent distribution of lift across the face of the propeller. the Team RaceKraft 6032TCS Tri-blade prop – 2 CCW and 2 CW propellers. The similarities are striking, which is a clear indication that RaceKraft has put in a lot of development into this original FPV propeller design. We expect to see these fly out the door as this is a racers choice on propellers. We expect to see these more and more on drones in races. If you should have any questions as to if these will work best with your set up, please feel free to reach out to us. You can reach us through Facebook or send us an email.